Joe Hernandez-Kolski & Joshua Silverstein: comedy, spoken word, beatboxing, rap and revealing storytelling creating a fun show! Stan Lathan (HBO's Def Poetry & Def Comedy Jam) says, "Joe & Joshua are an amazing team! 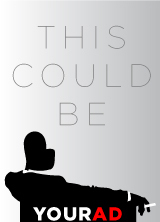 Hilarious and outrageous, driven by provocative writing and strong performances." A live music performance of selected songs and spoken word/commentary during the historic Woodstock festival in 1969. “Timeless” is a one-hour dramatic interpretation of sonnets, prose, poetic verse and quotes by great writers around the world from the ancient past to our time. Perfect for anyone who has a love for literature and is affected by Time, a universal topic that concerns us all. Kind of funny. Kind of raw. Mostly real. Ten short pieces about growing up Girl in America that will make you laugh, cry, remember and think. Not for women only. Dreams are contagious and meant to be shared. But what happens when a nightmare creeps in there too? 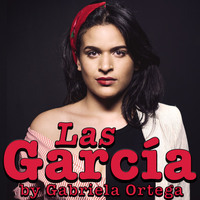 Las García is a docudrama about two women of the same bloodline, living in different generations, yet experiencing the same circumstances: The afflictions that love brings. Pamela was destined to be a licensed registered nurse. But fate led her in to the exciting world of entertainment as a dancer. Join Pamela, as she takes you through her journey of transformation despite the comical limitations she was born in to.